With current screening techniques, prostate cancers are now often detected early enough so that with treatment, they stay within the prostate gland and don't spread or cause harm to the patient. However, aggressive treatments such as removing the prostate or radiation therapy can result in difficulty with urinary and sexual functions. Dr. Eric Walse, lead author, UTMB professor and chair of the department of radiology, helped to establish a less invasive method of targeting and removing only the cancerous prostate tissue called focal laser ablation or FLA. This outpatient procedure has very little recovery or pain and preserves erectile and urinary functions. FLA offers men more peace of mind than active surveillance or 'watchful waiting', the traditional alternative to radical treatment. 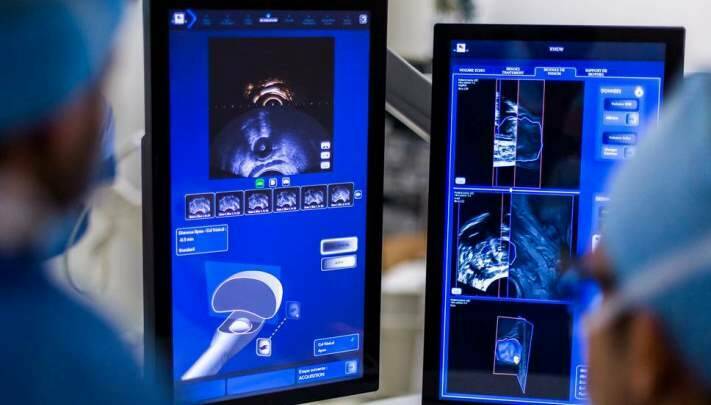 FLA pairs MRI imaging to identify cancer-suspicious areas in the prostate and advanced laser technology to remove it completely, with virtually no risk of impotence or incontinence. In 120 men with low- to intermediate-risk prostate cancer treated with FLA, 17 percent needed additional cancer treatment after one year with no noticeable change in the quality of life or urinary function. In a small group of men who underwent a more aggressive FLA, only 6 percent had evidence of cancer one year later. However, these men all noticed a significant drop in sperm count. Other studies have shown that after completely removing the prostate, 15 to 30 percent of patients have a cancer recurrence within 5 to 10 years of surgery. Although FLA doesn't yet have such long-term data, this technique may ultimately provide similar cancer control while better preserving quality of life.